Basically POLICE ARE NOW THE ENEMY OF THE PEOPLE AND THEY ARE TERRORIZING THE PEOPLE. 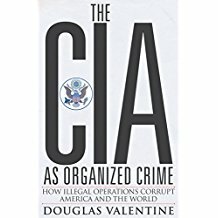 People are only beginning to learn of the secret police who are in fact contractors who are hired as bounty hunters to TORTURE and KILL PEOPLE WHO RESIST THE NWO. It is the truth, so find out why I am saying this. My story which exposes corruption on the level of the Sheriff and Police and now the Curry County District Attorney who would actually try to assist in subjugating activists who are trying desperately to expose corruption. My name is James F Lico and this is my website. I am an activist first and retired computer support. I am a Targeted Individual and am trying my best to resist my captivity by Torture Contractors. I have training in Electronics Engineering Technology, Biological Science and Computer Science. This helps me to resist my captivity/torture and also to make accurate reports of the torture abuse and experimentation which is going on. You can see that I am naming the criminals who try to subjugate me and this is the most important thing to do now, so they can be dealt with when possible. Try to discern who elxe is doing that. Remember that the Fusion Centers, FBI, JTTF, Infragard, TLO’s and other support persons are part of the deep state and they are keeping the system of slavery in place. First I want to say that I have met Sheriffs Deputies and Police who are honest and are trying to do the right thing. But the system is broken because the government from the top down to the local levels is corrupt beyond anything you could imagine. In many cases the government departments and agencies have been captured by psychopaths. You will need to watch the video featuring Dr. Katherine Horton to see how our government has been captured by psychopaths. One way to know that a system has been captured by psychopaths, is to look at what the system produces as output. I mean, if you look at what the outcome of a normal system like Law Enforcement and the District Attorney of Curry County, this as a whole is a SYSTEM and it is there to keep the peace and to punish people who break the law. Now if you look at the output of this system you would expect to see criminals going through it from start (committing a crime), to arrest by law enforcement, to (prosecuting by the D.A. ), you would expect to see only criminals prosecuted with appropriate sentences (punishment). 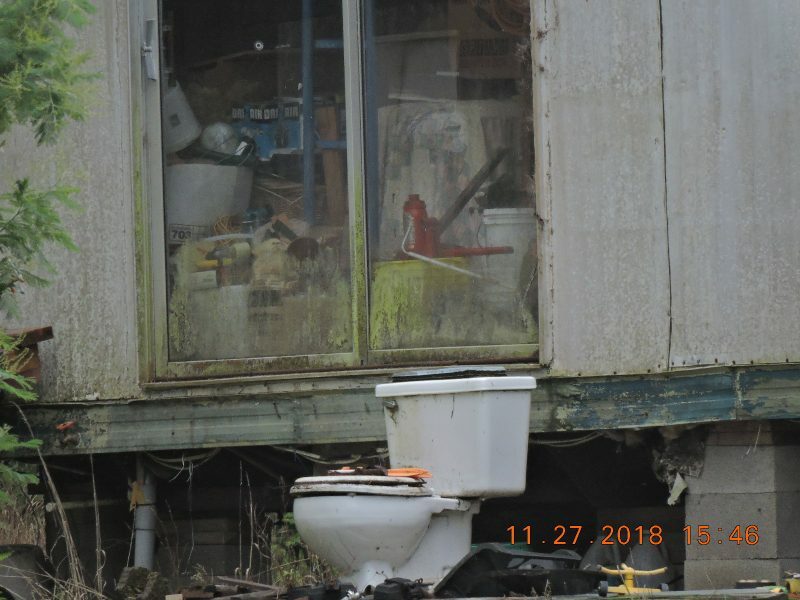 This is a teaching moment because I can show or demonstrate what is happening on many levels by looking at what is happening to an innocent retired man who came to live first in Gold Beach and now in Port Orford. So I bought the house at 92800 Mill Pond Road in June of 2017. At first there were no contractors but that changed rapidly because they come in to what they call watch me with surveillance. First, I am innocent retired man who was taken into an illegal human experimentation system in 2010. I am now what is referred to as a Targeted Individual and the contractors have ground based psychotronic weapons and weaponized drones and cell phone tower based weapons at their disposal and also satellite based weapons. If you don’t believe it now then you are a fool, to switch away because this is the criminality of your local and federal governments. Targeted Individuals are the canary in the coal mine and they are trying to educate you so that you can see what is happening and how you have been lied to all of your lives. Your friends, family and your children and the whole web of life will be affected by what is going on right now. check out what is happening with the asset stripping, psychopath created Terrorist Watch List fiasco. How Come There Are So Many Innocents On The Terror Watch Lists? I am Talking About Actual Terror Watch Lists, Which Are Literally Filled To The Brim With Innocent Single Moms, Children, Retired Pensioners, The Elderly, Veterans. It is Innocents Who Are The most Vulnerable Among Us, So They Can’t Fight Back!! So Why Then Are Innocents Targeted By Police; Targeted By Military; Targeted By, Intel Agencies All Targeting Innocents With Military Directed Energy Weapons!? Every Single Government Organization Is Targeting Innocents. So Exactly What Government Organization, Is Responsible For Putting Innocents, On The Terror Watch Lists? Because As Far As I Can See These Organizations Are All A Bunch Of Criminals Run By Criminals. Can You See That Mr. Everett Dial? The Error Rate Of Innocents On The Terror Watch List Is In Double Digits Even Before You Consider The Fact That 80% Are Woman, Adding Another Layer Of Statistical Impossibility. So, I Am Not Just Saying It Is Unlikely, I AM SAYING IT IS A STATISTICAL IMPOSSIBILITY TO HAVE SO MANY INNOCENTS ON THE TERROR WATCH LISTS! It Is Statistically Impossible And Yet We Have (U.N.) TORTURE CONTRACTORS Chasing Innocents Around As If The Innocents Are Terrorists Mr. Dial! TO ME IT LOOKS AS IF THE CONTRACTORS AND THOSE WHO ARE PROTECTING THE CONTRACTORS ARE THE TERRORISTS! Again, Since It Is Statistically Impossible For This To Happen By Accident, I Am Strongly Suggesting It Was Done On Purpose!…DO YOU UNDERSTAND Mr. Dial? STATISTICAL EVIDENCE WILL HOLD UP IN COURT AND i KNOW YOU UNDERSTAND THAT. 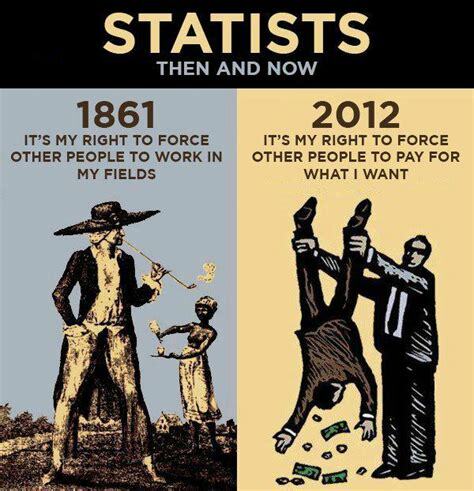 Are You For Slavery, Or Against It? Anyone Who Would Knowingly Assist Contractor Traitors To Subjugate An Innocent Citizen For The Purpose Of SLAVERY, With Human Trafficking Technology (RADAR TRACKING ON THEIR BRAINS) Is Also A TRAITOR. ITS GENOCIDE MAN.!.. WE ARE NOT PLAYING AROUND. There Is Such A Thing As Abuse Of Process And This Is A Case Of “TAIL WAGGING THE DOG” Mr. Dial. THIS WAR WILL BE OVER AND ALL TRAITORS WILL PAY FOR THEIR CRIMES! Remember That (U.N.) FUSION CENTERS Are ORGANIZED CRIME CENTERS, As They Are Giving (U.N.) Torture Contractors Lucrative Contracts To Perform Dr. Mengele Like Experiments On Innocents, Thereby Degrading Their Health With Potentially Deadly Diseases And Afflictions, Which Is Genocide And War Crimes! WE WILL BEGIN NAMING THE NAMES OF THE PERPETRATOR AS TRAITORS AND PUTTING THEM ON A WATCH LIST TO KEEP TRACK OF THEM. 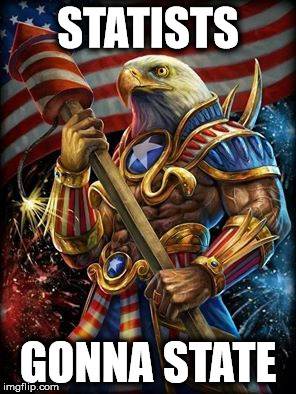 Until The Smoke Clears, The American People Are Under Attack By The Deep State And They Will Have To Be Neutralized First, In Order To Extricate The People From Slavery. “Fighting Psychopathic SYSTEMS 101” (Targeted Individuals) (Stop 007) Dr. Horton is a Targeted Individual who is being tortured with directed energy weapons. This is done because someone high up is afraid of her, that she will tell other people, so they put her in the psychopathic MEAT GRINDER. As it turns out, many thousands of people including me, are put in that psychopathic meat grinder as well, also for the reason that people are afraid of them and want them out of the way. Dr. Horton is talking about an intelligence agency MI5, but is the same as CIA in the US and they do the same thing. They shoot us with Directed Energy (psychotronic) Weapons (DEW’s), because they cant kill all of us because it would alarm the sheeple, so they use the slow kill method of killing us right in plain sight, so in that way there is benefit from using the victims for human experimentation. Can you see that this is happening to now it is millions of people. Some of the people know this is happening, but most do not. Now I want to tell you that the operators of this psychotronic instrumentation operate radar which is attached to the skull and brain of the victim. This radar beam follows people around as they go about their day all day 24/7…. This radar connects to their NEURAL IMAGE, which is a key spot at the top of the brain which they have found can control a human from that point. In the Neural Image, is the visual cortex and the audio cortex. You will find that it is easier to think of these things as systems which are under various stages of control. For instance, the operator of the psychotronic instrumentation can see through the eyes of the victim and hear what the victim hears. Now you should let that sink in and you should not dismiss it as rubbish since it is true and you can verify it for yourself by doing your own research. Also, remember that anyone can be hooked up with this instrumentation. they can walk a radar beam around to hunt for YOU if they want to see what you see or hear what you hear. This radar can go through walls, hence through wall technology. The beam can connect to your brain and then it locks on (radar lock), so that you cannot escape. It is time you realize that your government has been taken over by the intelligence agencies, corporations like Lockheed Martin Marietta, deep state and ultimately the illuminati also called the Elite. The Elite want to take over the world and i have to tell you that you are not invited. America is being asset stripped on many levels. I am one level and like I said there are many who are not aware they are being tracked. I can see that some of the people I have told of this, are just sitting back thinking they are fine and it is only me that is in trouble. Nothing could be further from the truth. The people who are doing this on the local level are in the dark about the plan, because if they knew they would be killed they would be in a bit of a panic. Also, the economy is about to crash due to financial mismanagement and outright theft of TRILLIONS of dollars and also trillions in gold. The people at the top are literally running out the door with the cash and leaving the weaponized morons to hold the bag. Can you imagine that when this is all done with all of the leaders will be gone out of the country and the weaponized morons will be here for you to talk to afterwards and it will be too late. As you can imagine, people will be quite upset, but the leaders will have gotten away with the biggest crime of the millenium. When you think of the Targeted Individuals (TI), you can imagine that TI’s are a false flag operation. You see, the leaders want to be able to bring in big surveillance to your towns and cities. They needed people in the neighborhoods to run interference for this surveillance operation. So they use the targeted individuals as a cover reason to bring in the TROJAN HORSE SURVEILLANCE over everyone. Michael Barden is illegally charged with aggravated assault with a hand gun because a psychopathic ex cop pointed a hand gun at him and then lied and said it was Michael Barden who pointed a gun at the ex cop. They in fact know Mike Barden is innocent and yet they are making up his charges. One dozen police body cameras failed WTF?! DO YOU REALIZE THAT THE ELITES and the constitutionalists ARE JUST WATCHING TO SEE WHAT YOU WILL DO ? I mean if there will be a civil war, I don’t think you want to be the one who starts it. So we cannot ignore evidence from James Lico, because my testimony is no better or worse than his neighbors testimony. Do you realize that Mr Lico has been trying to sell his house to escape his neighbors brutal harassment. Do you realize that up until the investigation started, there was vulgar signage on My neighbors fence which faces mr. Lico’s front door. DO YOU BELIEVE A JURY WILL UNDERSTAND THIS IS NORMAL? I AM STUCK HERE BECAUSE I CANNOT SELL MY HOUSE, Mr. Everett Dial!! Is it your intention to trap me here? YOUR CONTINUED EMPLOYMENT BY THE COUNTY DEPENDS ON YOUR UNDERSTANDING HOW THE LAW APPLIES EQUALLY AS IN JUSTICE FOR ALL. This is my testimony and I will be reporting it to the Sheriffs office and I will expect the district attorney to seek the same type of justice that is leveled against me. On March 30, 2018, two of my neighbors stood in front of my house and were shouting/screaming obscenities, calling me to come outside and face them. At the same time, Donna Wilkinson, my fiancee was trapped in the garage and was afraid to come out while they were there. Also, at the same time I was in bed sleeping because I had been up all night due to feeling electrified and was sleeping during the day. There is another incident I want to file charges for and that is on December 22, a neighbor attacked me by pointing a flashlight in my eyes for over a minute while I was trying to bring groceries into my house. At the time, He said I have you on recording saying you threatened someone Why do you think he did that? Answer, he did it to provoke me to threaten him to garner more evidence in order to put Mr. Lico away for a longer time. Is this what the county pays the DA? for,to provoke innocents to violent acts so you can subjugate them?. The point is these dumb galoots are appearing to pull the wool over your eyes and are YOU ARE AIDING AND ABETTING THEIR EFFORTS TO SUBJUGATE AN INNOCENT TARGETED INDIVIDUAL AND THAT IS A WAR CRIME. You represent the Government and you are making a mistake in prosecuting for making noise when the noise is in reality, crying out due to pain inflicted by supposed victims. What the hell is the matter with you. Do you not understand what is happening? There are at millions Targeted Individuals and the Corrupt FBI and those in the Fusion Centers are TRYING TO KILL THEM AND IF YOU HELP THEM YOU ARE AS GUILTY AS THEY ARE. Dont make the mistake of thinking we will forget that because you are just doing your job, because we will not even consider that you are just doing your job.
. What should the people do about that? 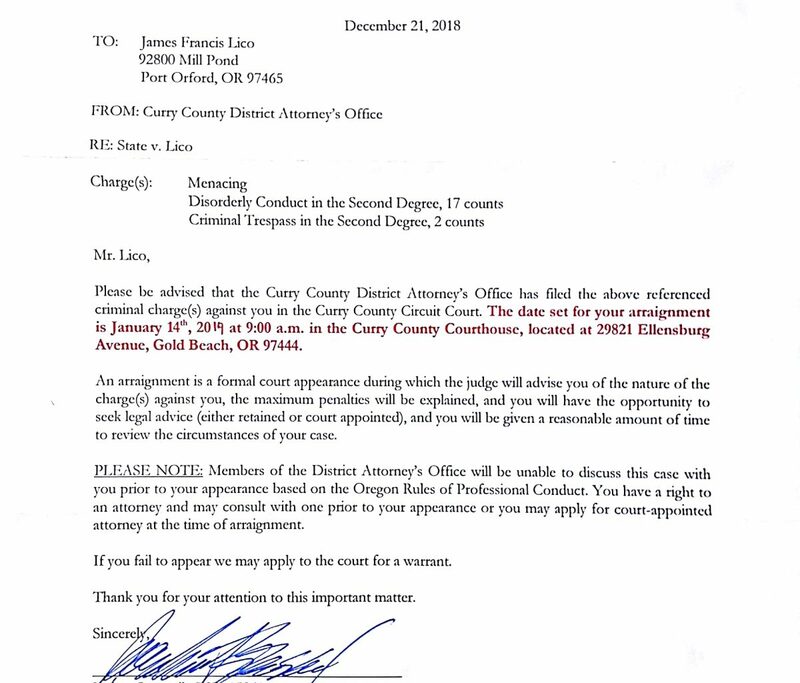 This is the DEFERRED SENTENCING AGREEMENT As presented by the district attorney to JAMES LICO AS A PLEA BARGAIN agreement. I am supposed to agree with and sign it and in so doing i would making the commitment to abide by it. An investigator probably from the district attorneys office went to my Doctor in June 2018, probably the first half of June and prior to my appointment on June 15. I believe the investigator was able to coerce or to enlist the doctors help in destroying my credibility. They have effectively influenced my doctor to now dis-believe that I have narcolepsy and to remove necessary medication for narcolepsy after having given me the medication every single month for 2.5 years. The investigator illegally coerced my doctor to become weaponize against me and to weaponize my medical file with statements that indicate drug abuser and statements which call the subject crazy. But it is so helpful when the victim knows about this is happening and can get the names and workplace of these people involved so that it can come out in court and then take them to court. Interfering with someones medical treatment and doctor is the extent the some people are willing to go to win. I am outraged as a citizen and so should you be. I am not your usual criminal, but I was an upstanding member of the middle class who has always done the right thing and yet I am now now gunned with ELECTROMAGNETIC WEAPONS, from my neighbors. HERE ARE TWO RETIRED FIRE CAPTAINS TELLING WHAT THEY THINK IS GOING ON WITH THE CALIFORNIA FIRES AND IT IS SOMETHING YOU NEED TO HEAR. The implications of this is that I am an activist and it is because I am an activist, exercising my right to free speech that I have been targeted in the first place. Now the county will have to put the nail in the coffin and put me away like they did in the old SOVIET SOCIALIST REPUBLIC. IT IS WHAT IT LOOKS LIKE and that is FASCISM. Fact::> a Port Orford City emplloyee is helping to torture Elderly Port Orford Home Owners for cash and prizes. I am not addressing this to the masses, I am addressing it to the administrators and leaders of not only Port Orford, but to administrators and leaders everywhere. I am trying to engage your intellect and imagination so that you can wake up to realize an existential threat to our cities and ultimately to humanity. But first look at the local people you serve to see that some of them are being engaged by the FBI; Homeland Security and Fusion Centers as UNDER COVER SPIES AND SECRET POLICE. This gives them not only a sense of self importance fuels their actions and keeps their loyalty, that is very much a desired and utilized characteristic, but it allows them to fly under the radar in order to evade detection by normal people. If normal people knew there is a secret police human trafficking innocent citizens and also torturing them, they would revolt wouldn’t they? must have had some respect of higher intellect to be elected to lead people in the cities, towns and counties everywhere. Think of this as a grass roots phenomena that is sweeping the land and you dont even realize it. some of your citizens are being weaponized to bring in the New World Order. Imagine that some of the citizens are being recruited to first, bring in MASS SURVEILLANCE, under the pretence of surveilling Targeted Individuals, but that is a ruse, because these people are harmless and innocent. It is time for some leadership from Port Orford administrators. Do we keep torturing citizens to death or come up with a plan where all citizens can live in safety and peace? This is exactly what it looks like. Its armed robbery and murder by a city employee. You will need to start your own investigation. This is also called ASSET STRIPPING THE MIDDLE CLASS. it is what happens when colonialism and fascism runs over the people. Can you see that this will get out of hand as more and more people are asset stripped. There is no chance for recovery now with private US citizens being attacked. I mean it just goes on from there and expands. OH is it just killing these few people? Give in to that and then it will be more and more killing until you find yourself on the list. People need to be smart enough to do the right thing. Also, I am an activist and this is happening to Activists all over the world. When no one raises the alarm anymore, what will happen then? Oregon Terrorism Information Threat Assessment Network (Primary) – 503-378-6347 / 877-620-4700 DHS and its Fusion Centers are nothhing more than Organized Crime Centers. If you doubt it, check out the CIA Phoenix Genocide Program direct from Vietnam. Fusion Centers are the same as Provincial Interrogation Centers. SImilar to the Nazi Gestapo. ARE YOU OATH KEEPERS or OATH BREAKERS ? You struggle with getting respect from the public you supposedly risk your lives to protect. You think it unfair, but you carry on. And some of you indeed lose your lives helping the public. You serve and protect the grateful as well as the ingrates. It’s part of your job, equal protection under the law. What if I told you however, that one set of people has every right to resent, even hate you? EVERY RIGHT? One set of people has every right to view you as the enemy, as enablers of sheer evil and raw criminality the likes of which the world has NEVER seen before, largely because you sold out? What if I told you that your utter refusal to afford them equal protection under the law was not only unconstitutional and illegal, but inexcusably contemptible, depraved, and treasonous? Presumably the opposite of why you went into law enforcement, hmmm? Are you protectors or bullies? Choose. What if I told you that these certain people across the board, report the same abuse from you no matter where in the country they are? They report being ignored, insulted, mocked, abused and even set-up to be committed or incarcerated when their only “crime” is reporting crime? Begging for help. Who told you that you were allowed to DISCRIMINATE against “certain people” and just allow them to be viciously targeted for on-going daily slander, harassing, stalking, and blacklisting campaigns by civilian vigilantes, and subjected to on-going vandalism; pet abuse: theft, murder, mutilation; computer hacking; phone hacking; postal mail and package tampering and theft; home break-ins; ID theft; credit card theft; bank account theft; car vandalism; multiple car accident set-ups to destroy property and cause continued financial loss, as well as assaults by various cowardly means such as gasses, poisons, and new covert technology called Electronic War Weaponry (brought back from use in Iraq and Afghanistan and secretly turned on innocent Americans)? Federal law 10 US Code §950t (2) forbids attacking non-combatant civilians with weapons of war. Only a rogue, criminal government would do that, meaning, an ILLEGITIMATE government operating CONTRARY to its citizens’ best interests. Are you OK with that? Do you know by what “criteria” these certain people are chosen for slander, torture, and extermination (and asset stripping)? Here is a sampling: A) Random, i.e., wrong place, wrong time; B) Vulnerable (such as single or widowed, older women); C) Journalists; D) Constitutionalists; E) Ex-spouses/lovers or women who said, “no”; F) Whistleblowers/truth-tellers; G) Anyone an insider has a grudge against, imagined or real; H) Veterans; I) The Elderly. Do these sound like people who should be on the Terrorist Watch List? Well, they are. They are specifically on the NON-Investigative Subjects (NIS), Code 4 Silent KILL List, as specified by the dubious FBI and corroborated by an ACLU FOIA to them. Let that sink in, NO INVESTIGATION, just ASSASSINATION. NO DUE PROCESS, NO 4TH AMENDMENT RIGHTS. Ever hear of COINTELPRO? It was an illegal program run by the FBI to murder Civil Rights and Women’s Rights leaders in the mid-20th Century. The Senate Church Committee condemned it and forbade that the FBI “ever war on the American people again”. But they are at it again. They likely never stopped. But 9/11 was certainly a boon for them to expand and renew COINTELPRO. Do you have “non-lethal weapons”? Then you are familiar with the principles of Electronic Weapons. They do exist, you have some. Yet you are told to pretend such devices are mythical, make-believe, nonexistent. And that a person is delusional or crazy to report being assaulted by people misusing them. Were you not warned that even non-lethal weapons can be lethal? Especially if abused and misused? Not merely do you have and use these non-lethals and less-lethals, you know that Defense & Air Force contracts with big Defense contractors are being run in your town, testing these Directed Energy Weapons on Americans. You know that Top Secret Highly Classified Federal programs are being run in your city and county; some of you have seen the fake Terrorist Watch Lists passed on to the CIA, so these Americans can be neuro-experimented-on, covertly implanted, and tortured with Voice to Skull (aka the Voice of God weapon the military so proudly revealed in Iraq), remote electroshocks, and Nervous System assault. These are the people you’ve been trained to call delusional, so no-one will believe them when they report Crimes Against Humanity being committed on their bodies and brains. 18 USC §2441 prohibits the Federal governments and agents thereof from committing Acts of War upon unarmed, non-combatant civilians. According to Executive Order 13606, all those who conduct or conspire to facilitate prohibited activities using sophisticated electronic technology to harm communications equipment, communications networks, or human beings, are Axis of Evil, Rogue State Actors or sympathizers or terrorist infiltrators working against the American people and public at large, by the definition in (section) §7, to include transmission and display. So are those using information and communications technology to commit serious and grave human rights abuses, in violation of the Counterfeit access device fraud and Computer Abuse Act of 1984. This defines “electronic harassment,” which can be lethal. If a person or several people aimed a radar gun, or several, at your home and family 24/7, would you allow that, knowing radar guns can cause cancer with over-exposure? Yet, when civilians complain of being assaulted with demonstrably similar electronic devices by others, they are ignored? This is the legal definition of “Willful Blindness Doctrine,” the purposeful attempt to stay ignorant of pertinent facts to avoid civil or criminal liability. The crime-fraud exception law may also be applicable in regard to the withholding of equal protection under the law to facilitate yet more Human Rights Crimes by the perpetrators (under color of law). These weapons, which we have established that Law Enforcement by and large knows about, cause Cancer, bleeding in the brain, strokes, high blood pressure, internal and external burns, eye damage, hearing damage, brain damage, autoimmune disease, joint disease, organ failure, etc. 50 USC Ch 40, §2301 Congressional Findings clearly states that Congress recognizes that chemical, biological, radiological and other (electronic) weapons of mass destruction are now capable of being made by domestic terrorists and criminals. So are you stupid or just cowardly hypocrites? So THIS is the ONLY crime you refuse to deal with? You sanction this crime? Who told you that ONLY one-person stalking was against the law BUT NOT premeditated, multi-person stalking and harassment, so you could ignore ALL of these highly coordinated, vicious crimes? No matter the harm to the victim? Did you know, 18 US Code (sections) §241 and §242 prohibit conspiracy to deprive anyone of their Constitutional Rights? The first applies to civilians, the second to the authorities (you), who can indeed be held liable and prosecuted for failing to do their jobs. There are also RICO laws that apply. But Law Enforcement seems uninterested in this very unique crime. And some victims are even reporting being denied protection because their name is found on an “untouchables” list being kept by Law Enforcement outside normal file systems, such as in the car trunk of the duty officer, so that the illegal and treasonous Kill Lists will be out of public scrutiny. This is un-Constitutional. There is no exception. This is prohibited by 42 USC 1985 – Conspiracy to interfere with civil rights, and 18 USC 1510 – Obstructing a criminal investigation, conflict of interest roles in government. In so doing, you are skirting the victims’ ability to gather evidence for potential criminal action against you. According to Supreme Court rulings Marbury v. Madison, NO unconstitutional law is valid. According to Norton v. Shelby, following an unconstitutional law affords you NO protection from liability and prosecution. Someone is telling your superiors to deny certain people their Constitutional Rights and ignore their persecution and murder by Federally-funded, ILLEGAL Death Squads, masquerading as Neighborhood Watch and other secret organizations like Infragard, run by DHS/FBI/Fusion Centers and paid tax dollars under-the-table by such contractors as Lockheed Martin. Your bosses are even making deals to accept bribe money for the department to get all the latest “cop toys” and maybe even for themselves, by marginalizing innocent people DHS needs to falsely and SECRETLY accuse of criminality or terrorism, in order to build up an un-American fascist police state on a fraudulent “threat” and on the destroyed lives of hundreds of thousands of innocent people who have no idea why they are suddenly a caste of people being denied their basic rights by Law Enforcement and illegally warred upon by their own government and fellow citizens, using weapons of war like sophisticated gasses, poisons, radiological weapons, and electronic weapons (EW). 18 USC §2441 prohibits the Federal governments and agents thereof from committing acts of war upon unarmed, non-combatant civilians. Yet, you do nothing. You do not investigate, you do not consult experts, you do not get educated. Did you know that Law Enforcement in many cases is actively engaged in repeated provocation and falsification of police reports at the behest of the FBI or Fusion Centers in order to protect the criminals and help frame their innocent victims? Did you know they are doing so partially to please DHS “partners” who own privatized prisons and mental institutions? Did you know that DHS is also registered as a “private for profit” business, and is buying up such entities? Clearly they want the prisons and mental health facilities filled to capacity and do not care how they do it. There is little difference in policies to provoke lashing-out or falsifying charges in order to arrest someone, and outright kidnapping, is there? Is that what you want to be a part of? Can you tell the difference between Law Enforcement in a free society and the Gestapo tactics from Nazi Germany? Are you aware that the American government has a history of illegally experimenting on people incarcerated in such facilities? Very often killing them? Prisoners have been injected against their will with everything from devastating diseases to plutonium! Are you aware that the 8th Amendment of the Constitution prohibits cruel and unusual punishment? Do you realize that the Terrorist Watch List is purposely populated with hundreds of thousands of completely innocent Americans with NO terrorist leanings or contacts, much less any criminal record? And that these are the scapegoats you are helping DHS/FBI/Fusion Centers and their secret, unconstitutional civilian armies persecute, torture, and murder for the profit of criminals within the Federal Government? You see, people on the Watch List are declared non-humans and contracts are sold on them to use them for lethal experimentation. The contracts are worth billions. (Can you spell, h-u-m-a-n t-r-a-f-f-i-c-k-i-n-g?) Did you go into Law Enforcement to help transition the USA from a free country into one of a subhuman, totalitarian predator and prey “society” (a dystopian nightmare)? Where YOU are used to facilitate heinous Human Rights Abuses against innocent citizens, including a large number of women and children, in order to aid and protect monstrous psychopaths, murderers, and pedophiles running abusive government? Do you have a “Don’t care if it is right or wrong, just doing my job” mentality? The early 21st Century will be regarded as the Dark Ages of SHAMEFUL Law Enforcement BETRAYAL, when it ALLOWED hundreds of thousands of innocent people to be tortured and murdered under their noses. Now, ARE you an OATH KEEPER and PATRIOT who supports the PRINCIPLES UPON WHICH our country was FOUNDED? Or are you a thug for the New World Order, which has invaded, infiltrated, and usurped the US government in order to commit genocide – with your passive and active help? Are you the watchmen who fell asleep on the wall and allowed the USA to be destroyed from within? DEMAND that your bosses STAND UP TO seditionist Feds such as the DHS FBI and Fusion Centers and TAKE BACK OUR COUNTRY. DEFEND THE CONSTITUTION. THERE IS NO SUCH PROVISION IN THE CONSTITUTION FOR AN ALMOST 20 YEAR “STATE OF EMERGENCY” WHERE THE CONSTITUTION CAN BE SUSPENDED! W A K E U P ! REFUSE TO SIT BACK AND ALLOW CROOKED FEDS TO TORTURE AND MURDER INNOCENT PEOPLE FOR PROFIT IN THE BIGGEST HUMAN RIGHTS AND WAR CRIME SCANDAL IN THE HISTORY OF THE USA – THE TERRORIST WATCH LIST SCAM. Which is enveloping more and more innocent people every day, as you do nothing. Do you imagine you and your families are protected? No, you are not. When Communism takes over a country, millions die. 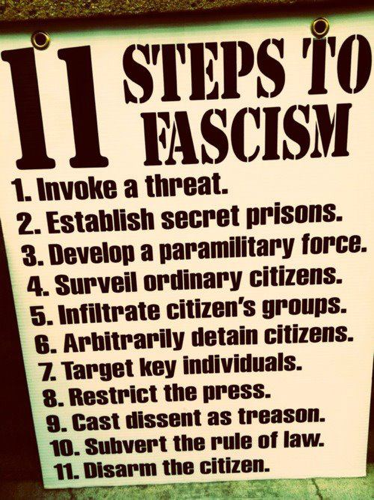 We are in the last stage of the end coup, just before the slaughter plans of the Deep State DHS/FBI/Fusion Center are made public. Decide now to protect your country and your families or just sit back and surrender to evil because you were simply never up to the job of protecting anyone. Karen Melton Stewart, NSA Intelligence Analyst, retired, with contributions from Ramola D, researcher, journalist, and chronicler, and significant legal research from B. Clark and T. Wellons. Endorsed and supported by the US-Europe Joint Investigation Team: http://www.jointinvestigation.org. http://www.wnd.com/2014/07/obama-quietly-expands-governments-watchlist/ The Secret Government Rulebook for Labeling You a Terrorist https://theintercept.com/2014/07/23/blacklisted/ NSA Counterintelligence Agent/Microwave Causes Parkinson’s? “SLOW KILL” Silencing Targets, Human Rights Advocates, Activist, Victims by Beamed High Tech Heart Attacks, Brain Aneurysms, Alzheimer, Dementia, Breast Cancer, Synthetic Illnesses, Memory Erasure, and Combined Beamed Techno Terrorism. Is it possible? This came in December 2018. Is it a Christmas present or payoff? There are many more gifts so that there is no space left to put any more presents. Think of it… I get charged and he gets payoffs. This will not go unnoticed. Steven Merkle portales nm. I have been with the voice microwaved into my skull and many other standard Surveillance Torture tactics for more than a thousand straight days. I have been sexually offended in my own home by this surveillance opps.